On the 3rd of December, the guys from Australian Indigenous Mentoring Experience are sending the message to Indigenous kids around the nation that there is no such thing as shame. AIME is an amazing Indigenous mentoring program based in Sydney, focusing on increasing the performance of Indigenous kids at school. 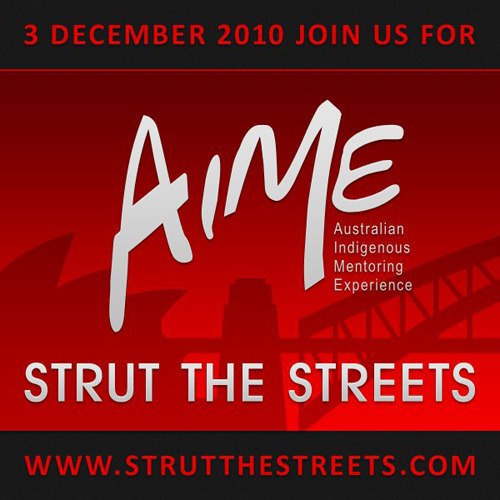 Their Strut The Streets journey goes from Martin Place to the Opera House in Sydney’s CBD. You can get involved by buying a ticket to participate in the parade or making a donation over here.